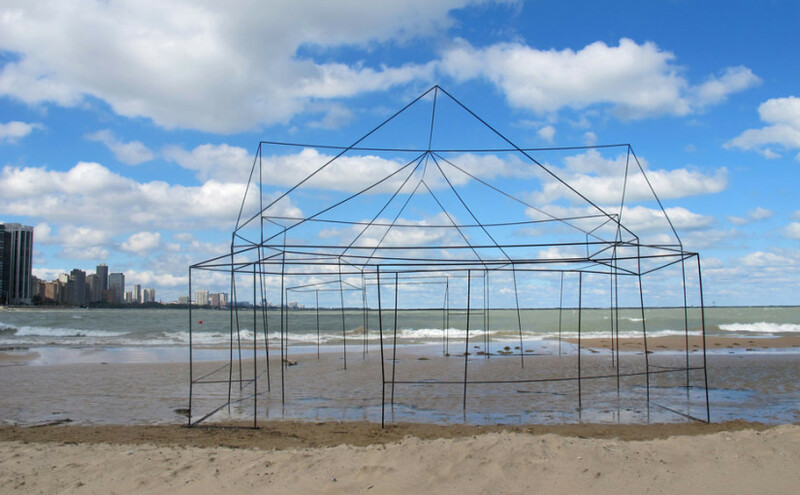 Chicago Architecture Biennial 2015: a stark installation on the Chicago lakefront by artist Sarah FitzSimons features the outline of a traditional two-storey American house (+ slideshow). Her work has been exhibited in cities around the US. House is on view in Chicago through 25 October. 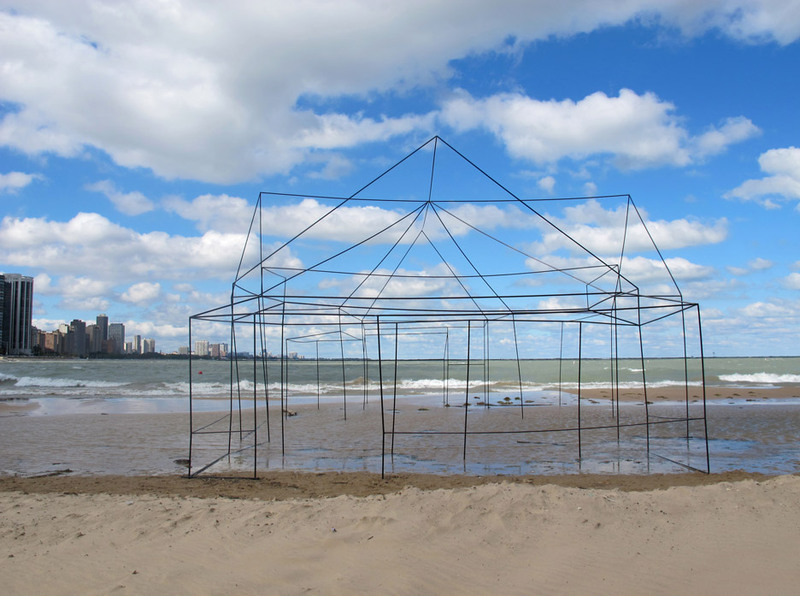 Titled House, the structure sits on a beach along Lake Michigan, with a part of it submerged in water. 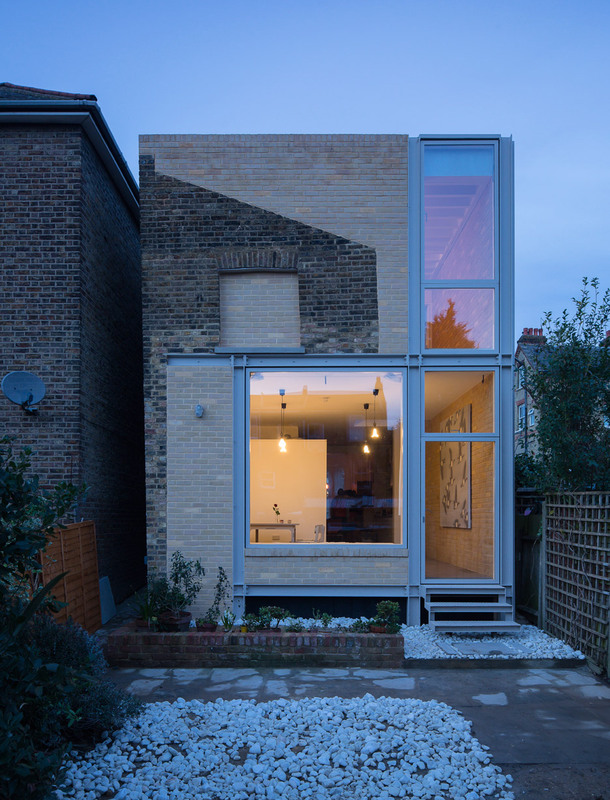 The temporary installation has no roof, walls, nor cladding – leaving it intentionally open to the elements. 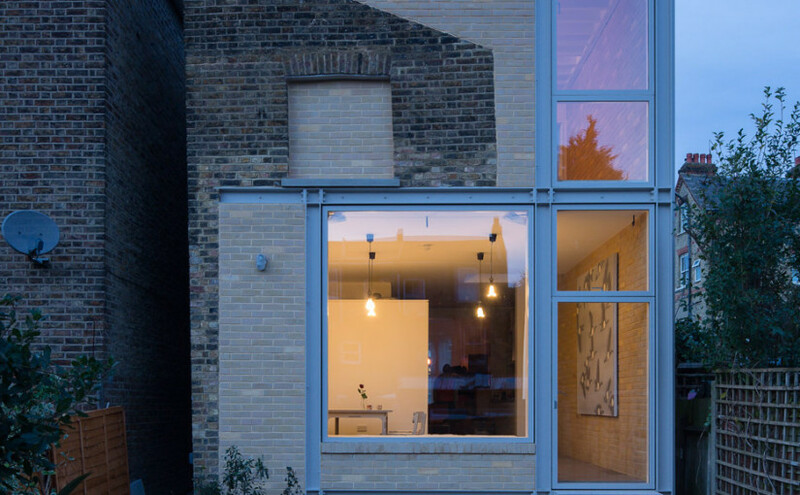 FitzSimons used aluminium poles and joints to create the outline of a typical two-storey home found in the American Midwest.